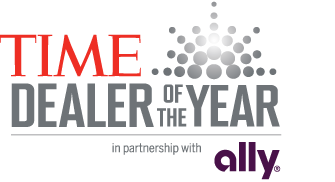 Your Association is proud to announce that Mike Iemma, President of Park Ford in Tallmadge, has been nominated by his fellow dealers for the 2013 TIME Dealer of the Year (TDOY) Award. Under Mr. Iemma’s leadership, Park Ford received the Ford President’s Award in 2007, 2008 and 2010, which is based on outstanding customer satisfaction and high standards of operational excellence. Known for strong support of the local community, Mr. Iemma and Park Ford have raised over $100,000 for Tallmadge High School as part of Ford’s “Drive One for Your School” program. Additionally, the dealership gives away one Ford Fiesta each year to a graduating senior. We wish Mike great success as he represents Northern Ohio in the National competition, which takes place at the NADA Convention in Orlando, Florida in February 2013.